Synopsis: Man #1 and Man #2 are locked in a life long struggle between wants and needs, the rational and the desired, never fully understanding that they cannot exist without each other. Man #1 wants to quietly merge into the traffic of everyday life while Man #2 wants to cut a new path through the wilderness. This battle of ideals comes to a head with the introduction of Sonya, the latest object of interest and the metaphor for all that came before. 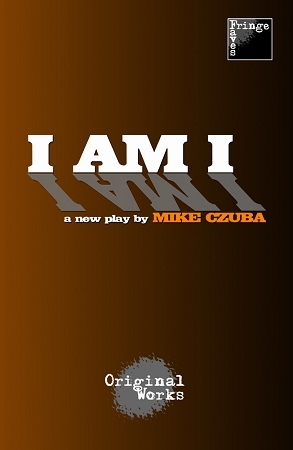 I AM I exposes the inner workings of a dark heart and an over-worked mind, shattering any idea of a fourth wall, creating a visceral, funny and painfully honest meta-theatrical journey.